THANKS TO ALL WHO JOINED! Our home for the weekend: the gorgeous 500-acre Camp Tri-Mount! OutdoorFest is taking our signature NYC event to the mountains with our new OutdoorFest Upstate. 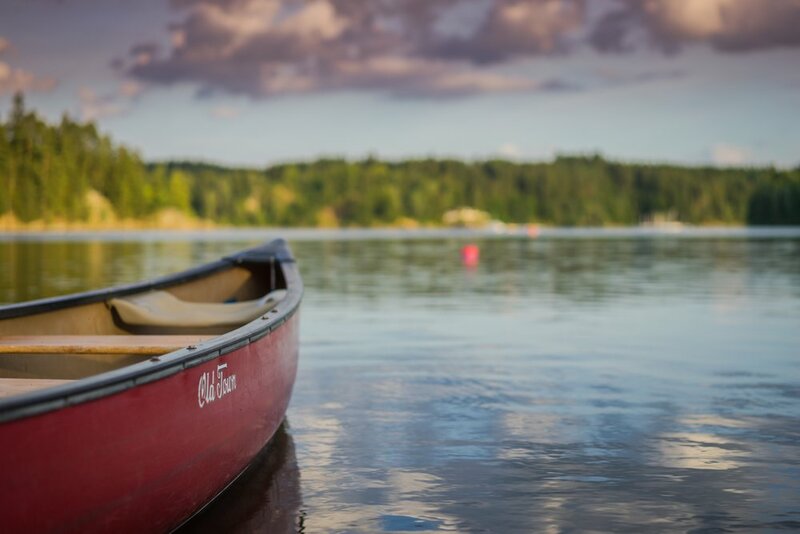 Join us for a weekend of exploration, connection and adventure at Camp Tri-Mount: our own private 500-acres for the entire weekend. We'll have beginner classes in the morning and more advanced activities in the afternoon so there's something to fit everyone. There will also be adventure options going all all day. If you've been to the OutdoorFest NYC Campout you know what our Saturday's night are about - great live music by local band The Mead Mountain Resonators, dancing in the woods, refreshing brews by Sierra Nevada and bonfires for hours. We're excited to have the Mead Mountain Resonators for our inaugural OutdoorFest Upstate! Put those skills to work with a full campout adventure race. We'll help you find your teams of 8 and you'll have two hours to complete the adventure course (canoe, bushcraft, fly casting and more!) as fast as you can. After the race, cool down with some refreshments and lunch and join the award ceremony where we'll be presenting the winning teams with lots of swag from our sponsors! You bring your own tent. There are two options for General Camping, you can choose "frontcountry" or "sidecountry". Front country: Similar set-up to our OutdoorFest NYC campout, you will be able to set-up near the main activities on a large field. Sidecountry: Bring your backpack because we have a 500-acre campground at our disposal - you can pick any spot you'd like. (Note: be prepared to hike around for at least a 1/2 mile). These are the tent cabins that the scouts use over the summer. They sit on wooden tent platforms and include a military cot inside. You should bring your own sleeping bag. Wooden cabins with bunk beds inside - nothing fancy but you will have a literal roof over your head. The quietest spot in camp, these backcountry lean-to's are about a 20 minute hike from the parking area. Each lean-to has 4 bunks and there is a compostable toilet and water nearby. What do you have to eat & drink? There are water fountains throughout the camp so please bring a water bottle. We'll also have beer from Sierra Nevada Saturday night and coffee Saturday and Sunday morning. We'll have simple vegetarian and carnivorous options for each meal. Your ticket includes 6 meals: Friday dinner, Saturday breakfast, lunch & dinner, Sunday breakfast & lunch. There are grills on-site which you're welcome to use. Snacks are never a bad idea! The full campout is only open to those 21 years of age and older. Do I need to bring fire starter, fishing gear, water purification methods? Nope. The water tap is potable, we'll start the fires and Freestone will bring the fishing gear. Is there cell service and wifi? There is no wifi. There is cell service at the main camp area though we recommend turning on airplane mode to really enjoy the weekend. Sturdy shoes / hiking boots - the paths are rocky - we highly recommend good shoes. We'll be at Camp Tri-Mount in East Jewett New York. You can follow the Google Directions and there is parking on-site. Add your car (or find a car) via our GroupCarpool Page. We recommend arriving at the campground by 6:00PM so you have time to set-up camp before sunset. Our shuttle will leave NYC at 2:30PM on Friday September 14th and return on Sunday evening around 7PM. You can "add on" the shuttle during check-out for $60. Our friends at Skedaddle have just added a new route to their site for everyone who can't get out of work early enough for the Friday bus. It leaves at 7:30AM on Saturday morning and costs $75 roundtrip. Book here. Join the dream team and become a vendor.